It's the Guess Who? game...1980s style! Back in the 1980's, kids around the world sat down to play this classic mystery face game. 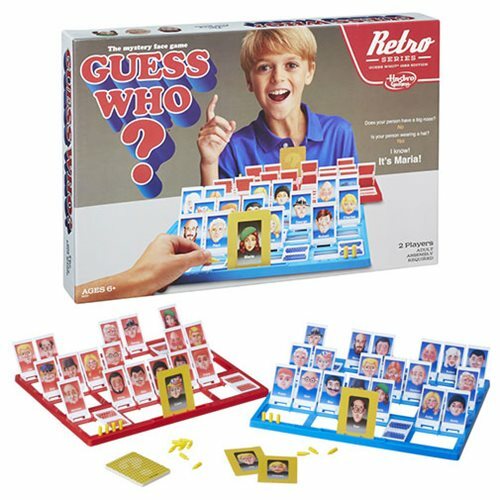 Each player chooses a mystery character and then using yes or no questions, they try to figure out the other player's Mystery. Ages 6 and up.